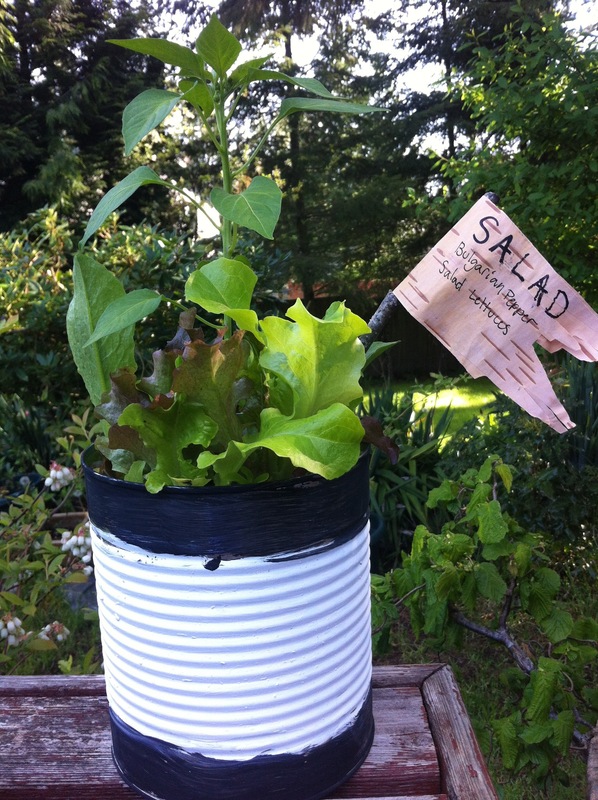 Take those leftover cans and turn them into a garden! For this activity all that is needed is a can, a little paint, a few vegetable starts and some creativity. 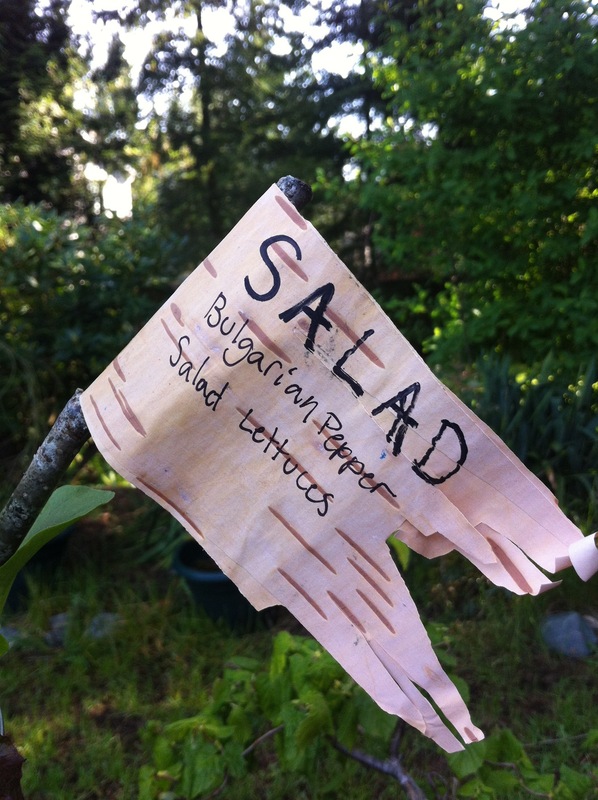 For plant markers we made birch bark flags and wrote the names on them with a permanent marker. Add sun, water and soil and little gardeners can grow their own food!